Steam plume rising from Shishaldin. 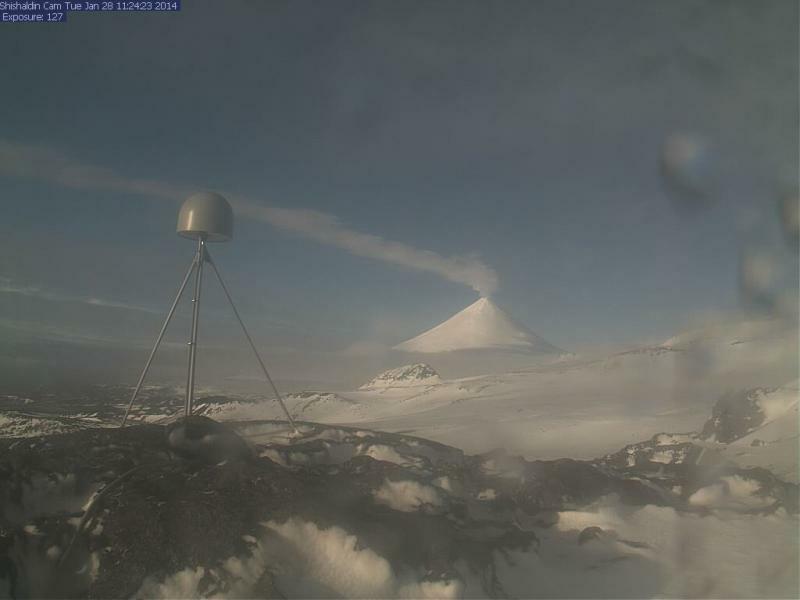 A steam plume and elevated surface temperature were recently observed at Mount Shishaldin. The Shishaldin volcano is located on Unimak Island in the Aleutian Islands. Mount Shishaldin is the highest peak in the Aleutian Islands. Shishaldin is distinguished as the most symmetrical cone-shaped glacier-clad mountain on earth. Mountain which points the way when I am lost. Unimak Island, and its highest peak, rise above one of the most active plate boundary zones on earth. The collision of the Pacific oceanic plate and the North American continental plate cause frequent earthquakes and volcanic activity. Subduction of Pacific oceanic plate along the Aleutian Trench. 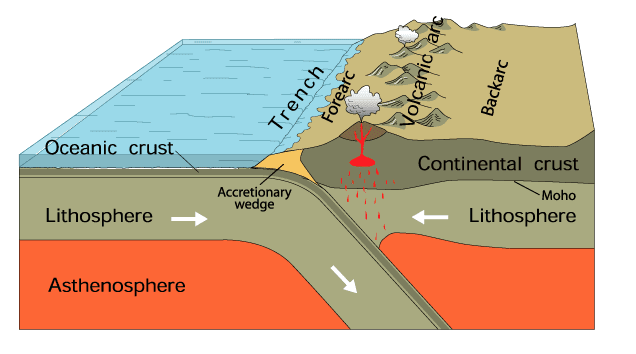 The oceanic plate is heavier than the continental plate, so it is forced below the edge of the continental plate. The ongoing process, called subduction, generates extreme stresses and heat. The subducting oceanic plate is marked by the Aleutian Trench which runs along the Aleutian Islands and the Alaska Peninsula. The Aleutian Trench is 22,638 feet deep south of Unimak Island. Eastern Aleutian Volcanic Arc Digital Model - Version 1.0, USGS.